Pete the Cat: I Love My White Shoes AND I Love My Story in E-Format! Pete the Cat: I Love My White Shoes first showed up on the Kids' EBook Bestseller List in mid-August and has been in the top ten of the Kids' section in the Barnes & Noble Nook store almost every week since then. Author Eric Litwin is here to tell us all about the book and its path to electronic success. Eric, tell us what your book is about. My books are about staying positive. Pete the Cat is an optimist who finds the good in all things. How did you first get published: traditionally or independently? The artist, James Dean, and I worked together and self published. Then we signed with Harper Collins and things got much bigger! The books are a wonderful read out loud experience and empowering for emerging readers. Mostly, they are big huge groovy fun! People find out about our books in many ways. The children hear it at school and come home singing. Social media has also been very important to us. Teachers have blogged often about our books and shared lesson plans on Pinterest. Also, our YouTube videos get thousands of hits everyday. The target audience is 2 years old to seven years old. E-format works great for my books because they are interactive and I create a narrated version with music. I am excited about e-publishing. I am very into interactive learning and feel e-publishing offers exciting options for this. Learn more about Eric and his his books at his website. And look for the latest top ten e-book authors at this week's Kids' EBook Bestseller List. 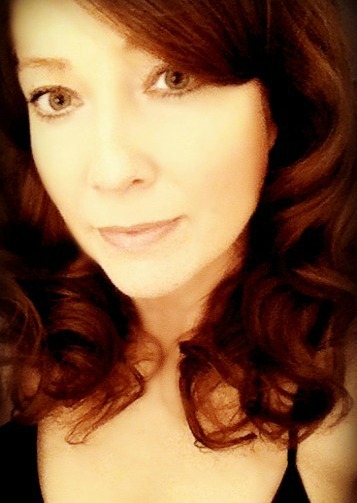 RaShelle Workman: Three Weeks in the Kindle Top Ten! Blood and Snow, Volumes 1 - 4 by RaShelle Workman hit the number 10 spot in the "Children's and Teen" section of the Amazon Kindle store on October 27th. The next week it climbed to number 8, and it's still on the list this week. Let's hear all about RaShelle's success with this unique book -- or I should say, four books in one. What is Blood and Snow about? "Blood and Snow" is a fairytale retelling of Snow White. It'll be told in 12 volumes. 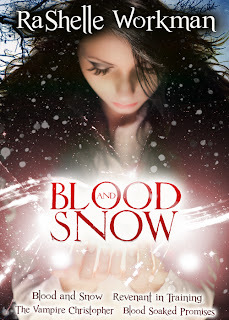 BLOOD AND SNOW: Snow White isn't an ordinary girl. She doesn't know that yet. BLOOD SOAKED PROMISES: Snow White must come to terms with her bloodlust. It's one thing to drink the blood of her Hunter, something else entirely to drink the blood of a human. Volume 5, "Prey and Magic," will be out November 20th, 2012. I published my first novel, "Exiled" in November of 2011, after the mid level publisher I signed with went under. Since then I've released 7 other novels, which can be found by clicking on my author link. It's been a hard, exhausting year, filled with ups and downs, happy dances, and bitter tears, and lots of amazing fan mail, which I've gathered from my traditionally published friends is pretty much what they go through as well. I've loved every minute of it. Marketing. Reader interest. And, price. I belong to two different author groups. We are very good at promoting each other. I also have a presence on my blog, Twitter, Facebook, Pinterest, and Google +. Social Media is great to an extent. It helps readers find me. But, I believe people are finding my book because of the cross promotions I do through Free Par-Tay. Follow the links I included to learn more about RaShelle and her books. And check out this week's Kids' EBook Bestseller List to see many more successful e-format authors. Maybe you'll find a new favorite! Paulsen is a master storyteller who has written more than 175 books and some 200 articles and short stories for children and adults. He is one of the most important writers of young adult literature today and three of his novels — Hatchet, Dogsong, and The Winter Room— were Newbery Honor Books. His books frequently appear on the best books lists of the American Library Association. The electronic version of Hatchet hit the number 8 spot in the "Children's and Young Adult" section of the EBooks.com store and has been there for three weeks in a row so far. I was able to contact Gary's agent with the news and she wrote back saying, "I read the questions to Gary as he was driving . . . and here are his answers." Tell us what Hatchet is about. A boy headed to visit his father survives a plane crash and must make his way, alone, in the Canadian wilderness with nothing more than a hatchet. How was this book originally published: traditionally or independently? Recently or further in the past? Hatchet was published 25 years ago. Bradbury published it, but that publishing house merged with Macmillan which then merged with Simon and Schuster and, at first, Puffin licensed the paperback rights and then Aladdin took them over and then, five years ago, an editor I'd worked with at another house who is now at S&S suggested doing an illustrated, annotated, anniversary edition and later, with Random House, I wrote four sequels and two nonfiction accounts (The River, Brian's Winter, Brian's Return, Brian's Hunt, Guts, and Father Water Mother Woods) of how I came to know the information I gave to Brian in Hatchet so, although I tried to be traditional, it's been a pretty post-modern publishing experience. I think there's a great novelty about e-books and a tremendous ease and convenience. You order an e-book and boom, it's on your device almost instantly. And you can read on a phone, a designated e-reader, a tablet or a computer. Very handy. I've always believed that the art of storytelling originated when cavemen danced around the fire telling what the hunt was like, so I'm supportive of anything that conveys story. If you can get a kid to read, it doesn't matter to me if it's hardcover, paperback, electronic, or paintings on the walls of a cave. Just get them to fall in love with a book, introduce them to the wonder of getting lost in a story. That's all that's really important. Again, if you can get a kid to read and to fall in love with reading and books, in whatever format, there's nothing to complain about. 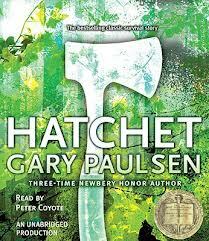 Learn more about Gary Paulsen and his books at his website. And swing by the Kids' EBook Bestseller List to see Hatchet still in the top ten, along with many other top ten authors and their books for children and young adults.